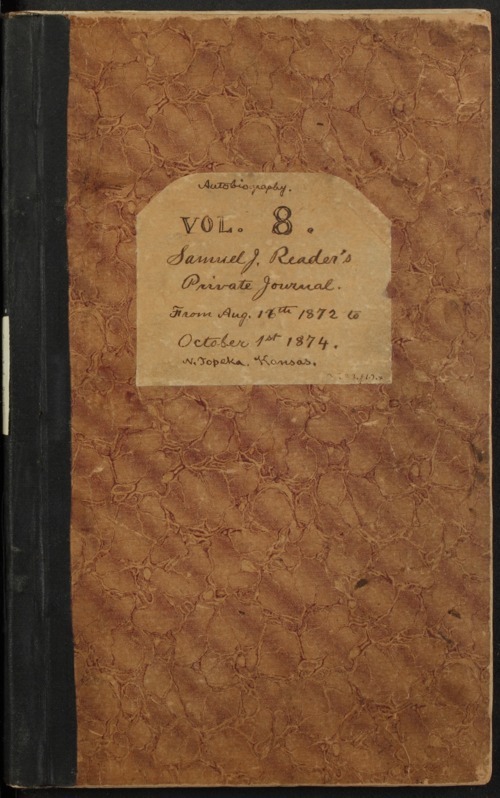 Volume eight of Samuel James Reader's diary during which time the community of Silver Lake, near Topeka, Kansas, was suffering from an outbreak of smallpox. About a dozen people died in Silver Lake from the disease but none of Reader's relatives were afflicted. However, his family did suffer a death on August 6, 1873 when their infant son died. In addition to English, much of the diary is written in shorthand.